A cold afternoon in Davao City, last Saturday: I went early for the Media Food Appreciation, to see the place early and to have a good shot outside the place. Cold wind begun to blow and I was ready to propped my small blanket over my head. I ride a taxi, but decided to stop right in front the old ABS-CBN compound and ride a tricycle just to see the place clearly. I payed PHp10.00 for a ride going to Subli St. Lanzona Subdivision. We turned onto Subli St., past an empty storefront with many signage's in front. Then I spotted a signage named "KUSINA", I asked the driver if that's already the Kusina sa Subli and he uttered: "Yes, Ma'am". A brief debate followed: "Is it open? ", "Is anyone in there? ", "How does the place looks like inside?" and "How does the menu looks?". 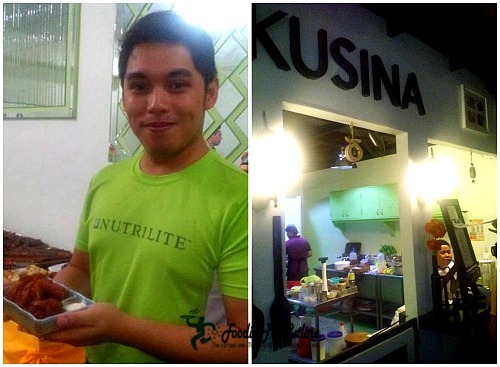 Kusina sa Subli opened in September of 2014. 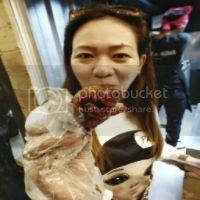 The owner, Jessica Ongkingco, a young entrepreneur who loves exploring new flavors and a big food lover. At her age, she developed her wit in acquiring things that she get from her family lineage. Aside from this, she managed and owned J2O Purified and Alkaline Water, KSS Mini Convenience Store and Laundry Shop and Residencia de Fernando, a family owned apartelle. Her restaurant is both casual and meticulous: the kitchen over looks the Al Fresco Dining Area, a tables with umbrellas and a little potted plants. The lighting is so soft, the way you will imagine that you are in a warm and cozy ambiance, with the sun light just peeking the window. The place is closed for a while for renovation, but now it is finally opened with added facilities to cater more customers. 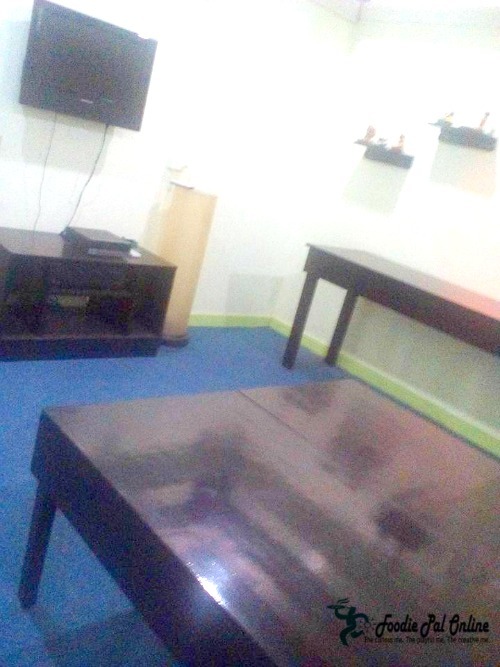 Here, you can choose for a VIP KTV rooms either have a pool table or a videoke sound system. 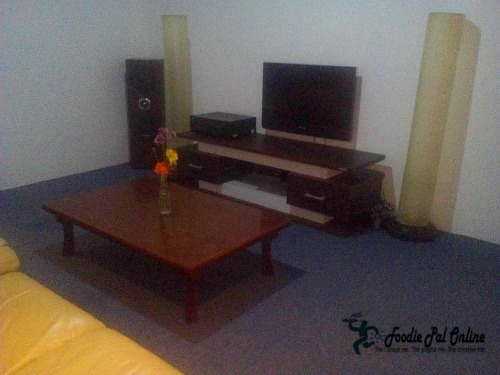 PHp1,500 (1,000 food/drinks consumable + 500 for the rent of room). Good for 8-10pax. 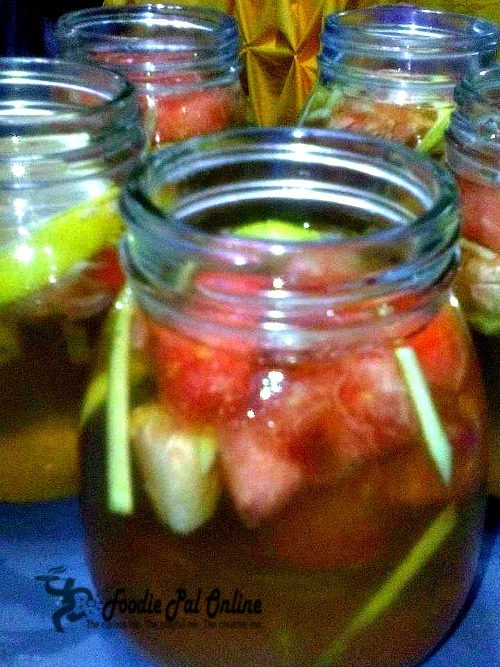 PHp2,000 (1,500 food/drinks consumable + 500 for the rent of room). Good for 10-15pax. 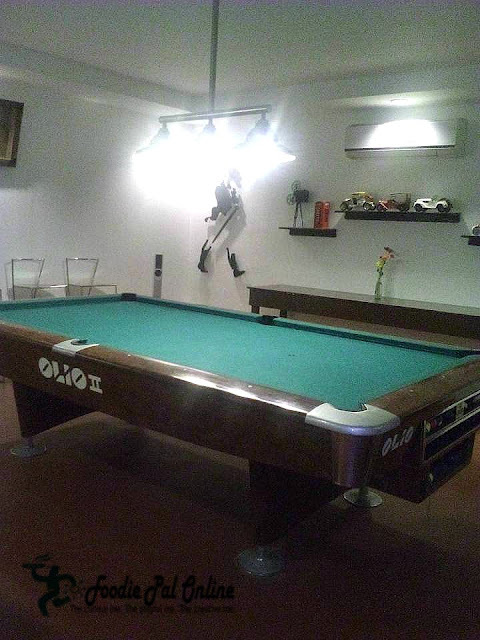 PHp2,500 (2,000 food/drinks consumable + 500 for the rent of room). Good for 15-20pax. All room rates are for 4 hours use. In excess, they will have an additional charge per hour. 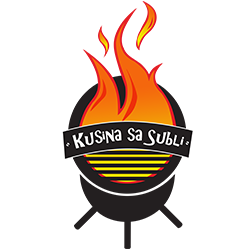 If you are living in the South, hungry and don't have strong aversion to typical and comfort foods, Kusina sa Subli is the right place to go. Yes, you're right! 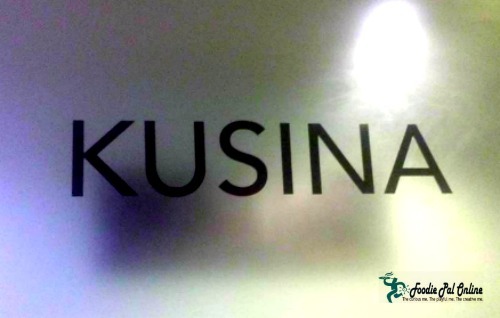 Kusina (kitchen in English) is a room where food is being prepared and cooked. Media Practitioners, Food Enthusiast, Food Photo Hobbyists and Food Bloggers gather together to have an exquisite dinner: the grilled tuna and Pakfry, pork adobo, calamares, dynamite roll, chicken wings, chicken with white sauce. We drank Tropical Tea and Lychee Martini. Chef Rowena stood in the kitchen, while Chef Frine answering a lot of questions from us. I ask Chef Rowena about the interior design of the kitchen, a melodic lift of her voice answered, "It is very important to see their food being made and to see how customers response on the food being served. 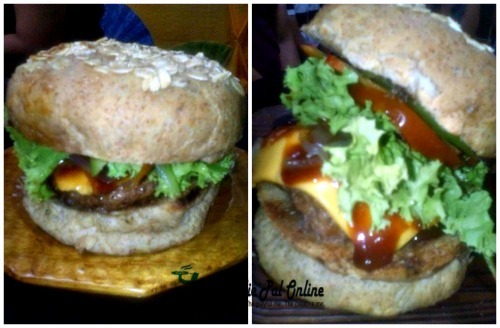 As well as with Chef Frine, explaining to us the comparison of his South-side Burger and Chihuawing or Hot Chicken Wings Recipe he made for Kusina. 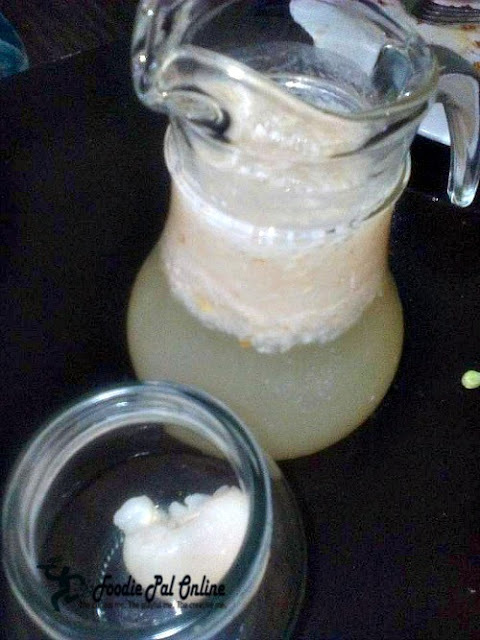 According to him it was an experiment and never expected to have a version of low-southern comfort food cooking to work in Subli. 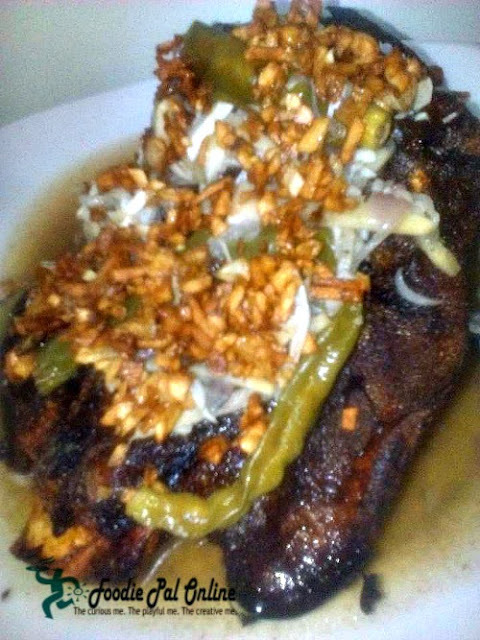 That turns out to be a genuine dish that their customers appreciate it and also now a must try recipe in Kusina. 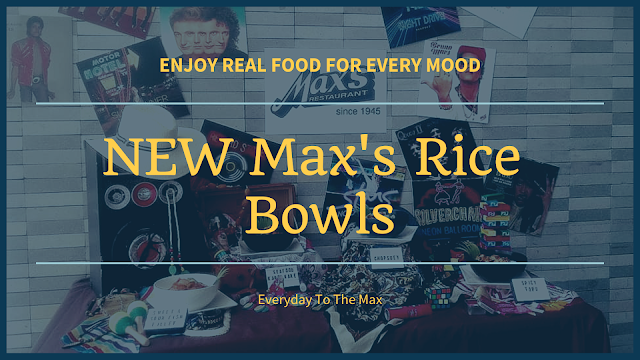 There's nothing very special about their menu, but what you will savor here is the way they produce an array of dishes that will remind you of home. A traditional way of cooking Grilled Tuna Panga, Tuna Belly and PakFry(Tuna Tail) which is define as a crowd pleaser! New to their menu is the Paella Negra. Sacrificing the possibility of loving and getting to hold on to our traditions, been a lot of food taste about Paella and everyone can find an inspiration that people will love the oddness of such recipe, loving it to the fact that it's actually good in taste. 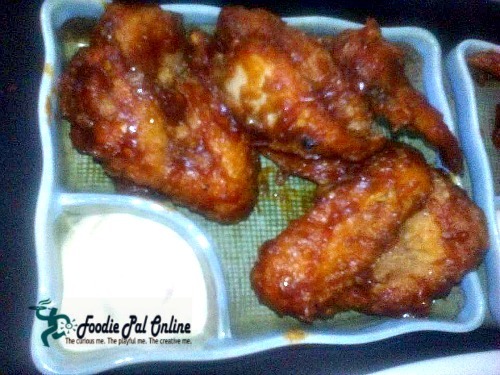 A must try dish and I am sure your going to love this very exquisite recipe. 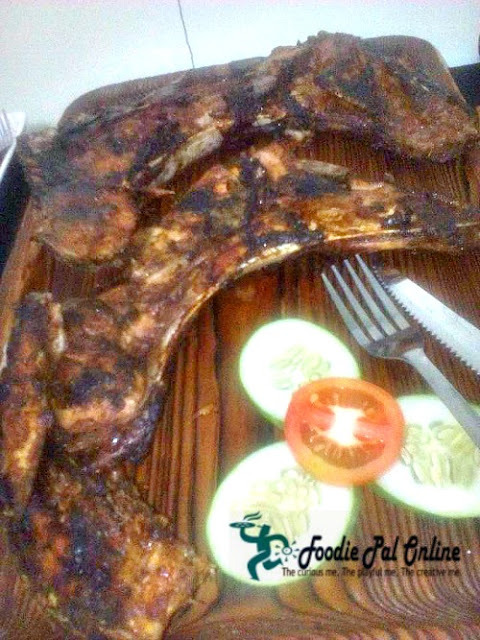 Having a restaurant in a Southern part of Davao, delivering Comfort Food Haven is cutting-off the boredom life in a southern sphere, a hidden secret no more at Kusina sa Subli. Follow KUSINA via FACEBOOK PAGE and INSTAGRAM. 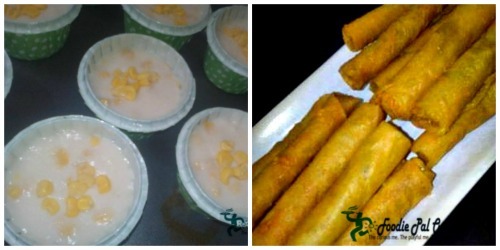 That night in Kusina, we finished with a Lychee Martini, a Peanut Roll and a Maja Blanca made by The Royal Chef Eats, who avoids the cliches of having too much of sugars and create a delectable and mildly healthy fun sweetness to our palate. Remember Ratatouille? The movie that connotes explicit idea, that all of us can cook. Well, I agree with it...all of us can cook but we do have different style and approaches in cooking our food. There are lots of Hybrid restaurant that has become one of the new rules here in Davao City, since there is no leader, no authority, and rules to follow each chef has his/her own way of making his /her own tune. Now, this is your time to explore Kusina Sa Subli way of delivering comfort food in the south. 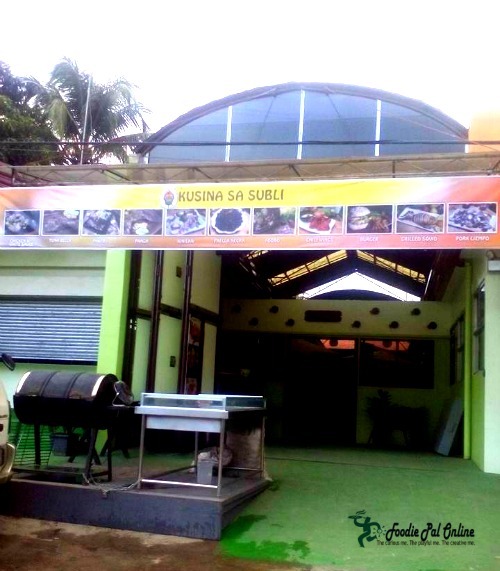 Located at Subli St., Lanzona Subdivision (Landmark is the old ABS-CBN Compound) Matina, Davao City. i love paella, but that shade of dark black looks kind of scary! the tea and the burger looks very yummy though! I wish we had a Media Food Appreciation day here, LOL. How nice to try so many new things and check out a great place. I wish I can visit the south anytime! 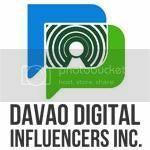 Davao and Cebu have a lot of great restaurants to offer! The dishes look so good and I like the idea of an open kitchen, I love seeing my food being prepared. This looks like a nice restaurant where you can host small parties. 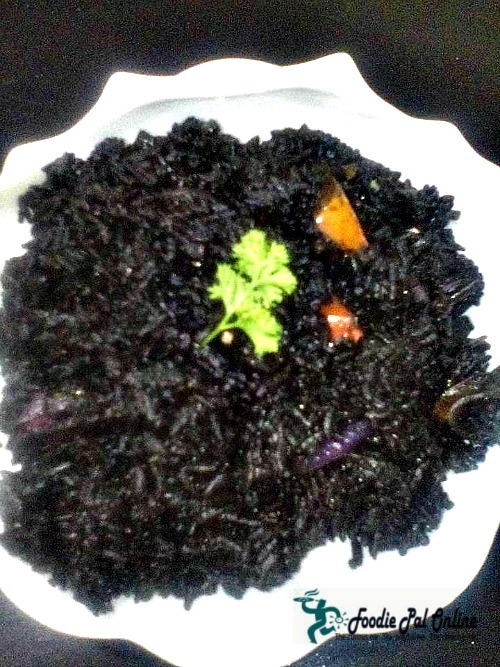 Food has a variety and quality but that black Color of negra looks a bit odd to eat. The resto is actually pretty sulit considering the fee for the room and the consumables! It's interesting to see the paella negra in a Filipino cuisine resto. 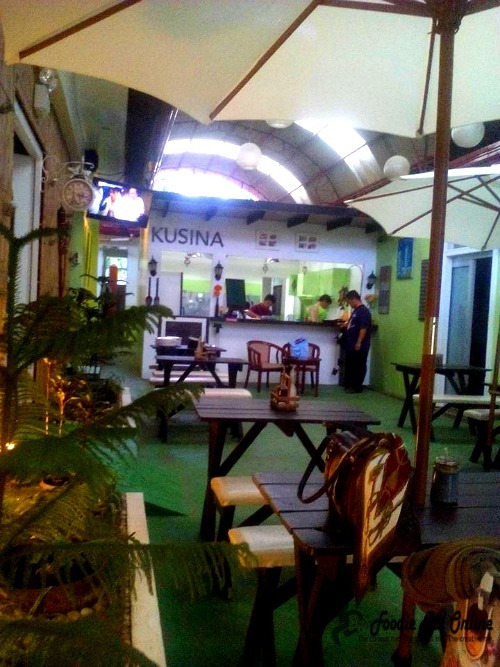 Kusina is a great place for a big group of friends and family. It's affordable and it has a lot of activity in the area. wow! everthing looks so delicious. i wanna have a taste of this. Looks like a good place to dine if I will be craving for pinoy dishes. The tuna panga is my personal favorite. Yummy! Glad that Davao has a place like this. The look from the outside is not exactly attractive and would not tempt me to enter and try. Only with a trusted recommendation would I try a restaurant that does not look very good outwardly. The grilled tuna belly looks good and delicious too. Such a nice gathering for the media. That place looks nice. I love your pictures. Food looks amazing. Thanks for sharing. Would love to try them some day. 4 hours is a nice time spam. I think the food looks delish too! The Grilled Tuna Panga and Martini will be my top list amongst others I'd love to taste. Place looks nice to chill out with friends and some of the dishes are looking quite nice except a couple of them. Simple layout and good food, shows that we can't judge the book by its cover. 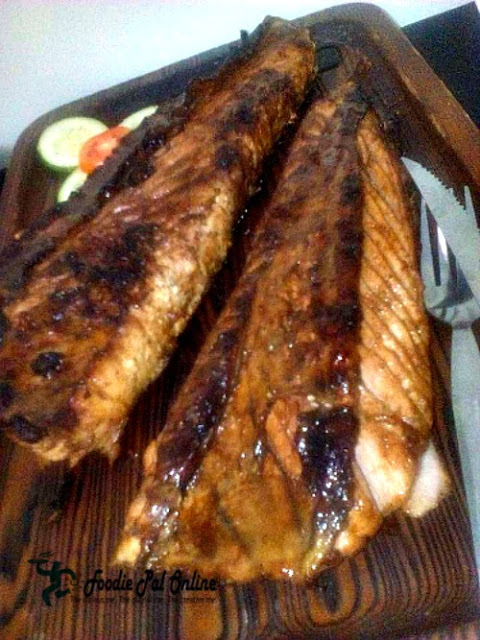 The grilled tuna belly looks delicious. Yum yum, I want to try the paella negra too... If I ever go your country, I will try!